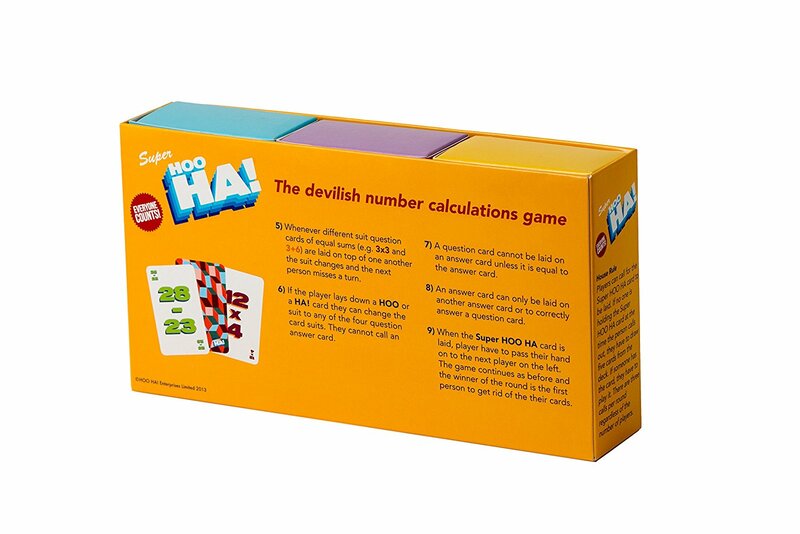 FUN and Effective Maths GAMES! Welcome to HOO HA! Enterprises, the award winning company that makes maths games to improve children's number-sense and numeracy skills. HOO HA! is a godsend for parents, teachers and children. HOO HA! 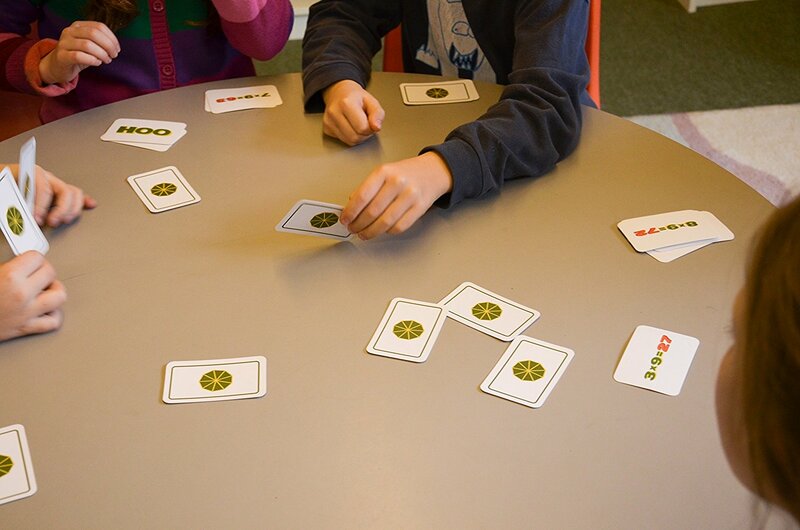 maths games are easy to learn, great fun to play, as well as genuinely educational and competitive! The games are curriculum based, providing engaging and effective practice of those crucial, need to know numeracy facts. providing valuable practice in those key subject areas. HOO HA! 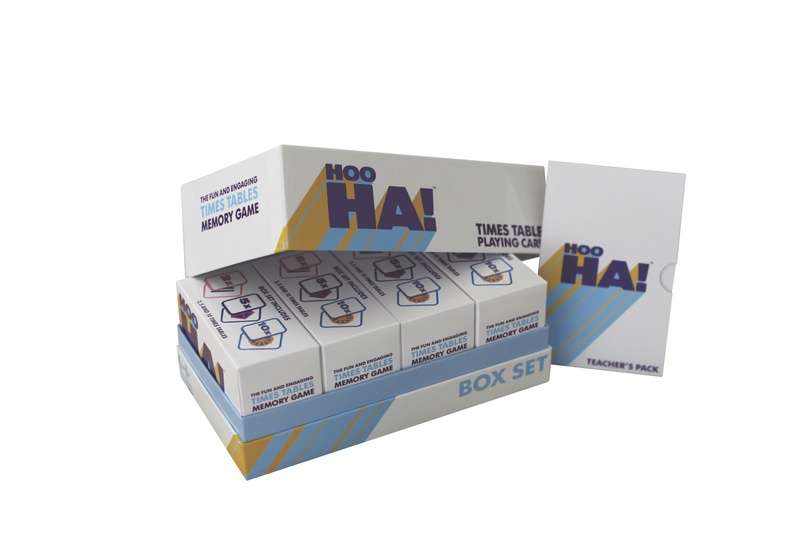 games come in box sets with differing levels of difficulty. The multi-sensory nature of the game-play means the games are inclusive. The games are accessible to children with Special Educational Needs. To learn more about a game, click on an image below. "This shifts some of my daughter's ever increasing homework into 'play'. She actually looks forward to playing Hoo Hah and is learning all her times tables without realising it. It's a godsend. I wish I had it when I was growing up". "Hoo Ha! 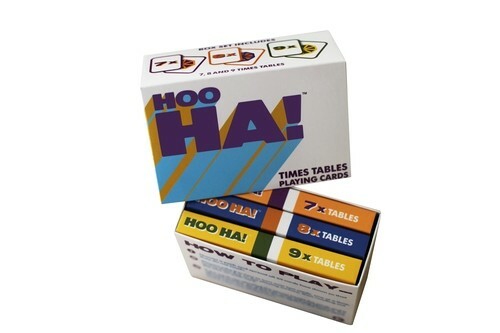 is a wonderful, fun, easy to play way for adults and children to learn their times tables together. No more 'encouraging' children to rote learn times tables. Lots of fun for all the family, and frequent beatings for the parents. We've played it with children aged 5 and 8 and it works for all." 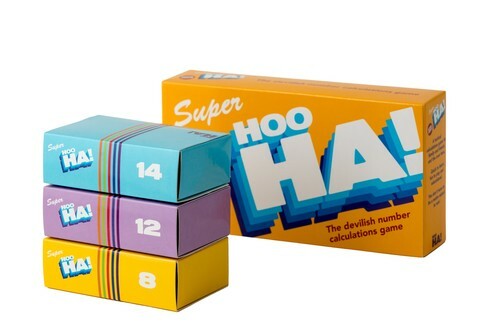 "I bought Super HOO HA for my seven year old son, who is learning his times tables at school. He took to it straight away, and loved it. He was soon playing it with his best friend from school and for once they weren't playing video games or football together, but something that was fun and genuinely educational. It's certainly had a positive impact on his multiplication, and he has been enthusiastically telling his teacher all about it." "I have played HOO HA! with children both in Spain and Madagascar proving that language really is no barrier to playing this fiendishly simple yet totally engaging game. 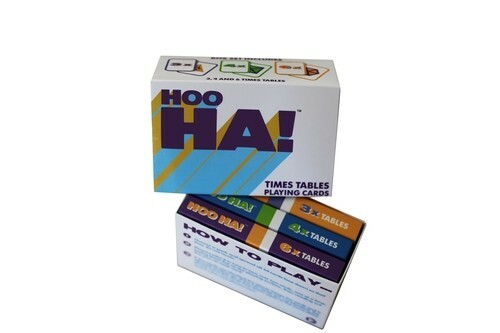 Based on a memory game format, it makes learning your tables fun (both multiplication and division), children love rising to the challenge of improving their performance with each game and so want to play and its design means it is portable, quick to set up and you can play it anywhere. 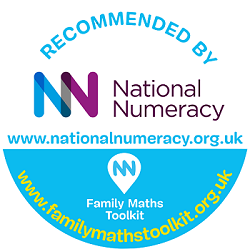 I would recommend this in any Primary classroom and to all parents who'd like to make the maths homework experience much more enjoyable and productive". The games have been extensively tested among primary school children and educationalists across the UK. We hold sessions in schools, teacher training colleges and maths clubs. If you are interested in finding out more or booking a demonstration of how the games would be of benefit to your pupils or if you would like class sets of the games, send us an email at schools@hoohasuper-duper.com. The harder game then really tested the children’s mental skills ...making connections, strategic thinking and a competitive edge. The basic structure loosely resembles UNO (cards played set limits on next player etc) and this helped the children to engage. 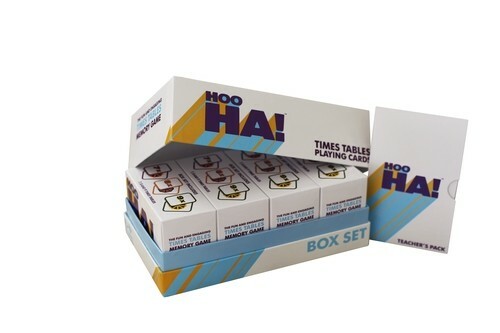 And the simple touch of shouting ‘Hoo Ha’ in the Hoo HA! game was a great hit! The children were thoroughly engaged and clearly very much enjoyed themselves. I was impressed with the way in which the games could be played equally successfully by children with a wide range of attainment levels (spanning roughly year 2 – year 6 target levels). 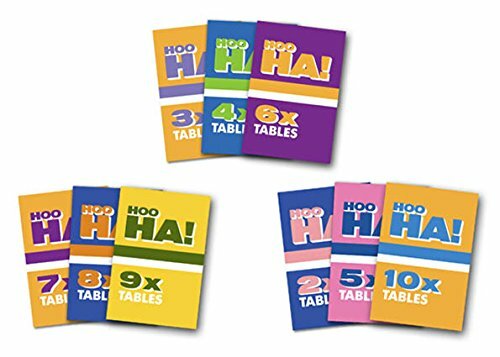 It was clear that children who dislike the idea of learning tables were very captivated and motivated by the pelmanism game, and that they hugely enjoyed the added factor of matching the Hoo Ha! cards. 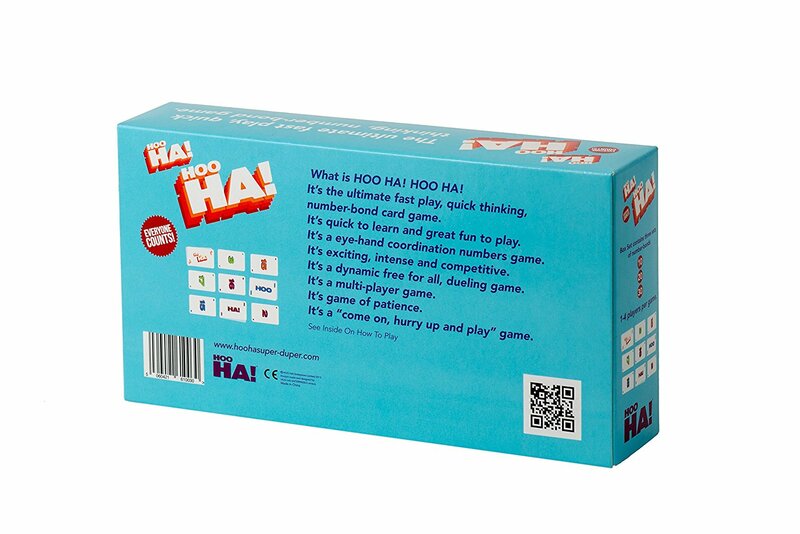 The second game we played, which involved more tactical thinking about choices, was clearly particularly suited to higher attaining children and had plenty to challenge them, without excluding children who were less secure in their maths knowledge. I worked closely with one group and every child was actively engaged because they all had cards (with sums) on them that they had to work out in order to play the game. I really like the subtle differentiation; each group was given a game focusing on certain tables or all the tables depending on their maths ability. The game could be played with individuals but I saw it played in pairs with a lot of ‘think, pair, share’ going on! This game promoted active learning in such a simple but effective way! I was really impressed with the idea which was motivating and challenging. 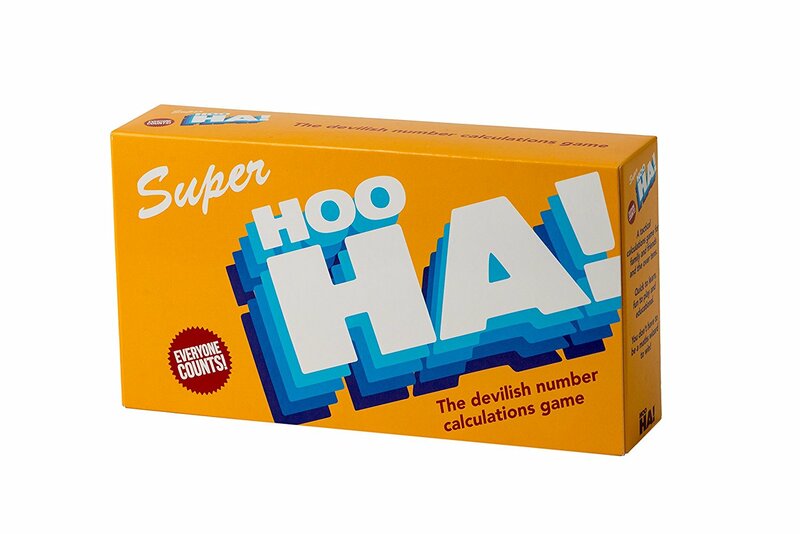 HOO HA is a great game for assisting in the learning of many important maths functions. I have used it with many of my students who are all either dyslexic, or dyscalculic and have found that kids love to play it. 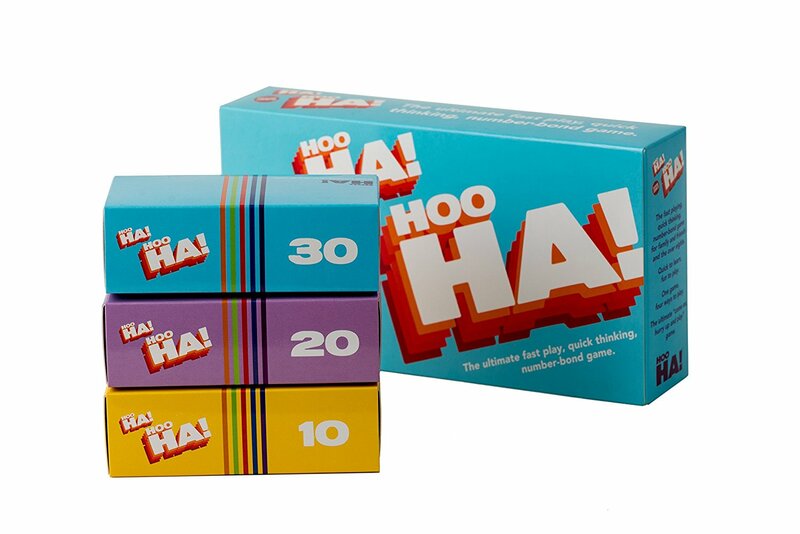 If you think your customers would enjoy our games, you can place a trade order at trade@hoohasuper-duper.com. It's incredibly easy to do and we give free demo copies with your first order of games. We're always looking to work with new people, companies and brands to partner with. In the past we've collaborated with Herts for Learning, librettist, Martin Riley and University of Malta. 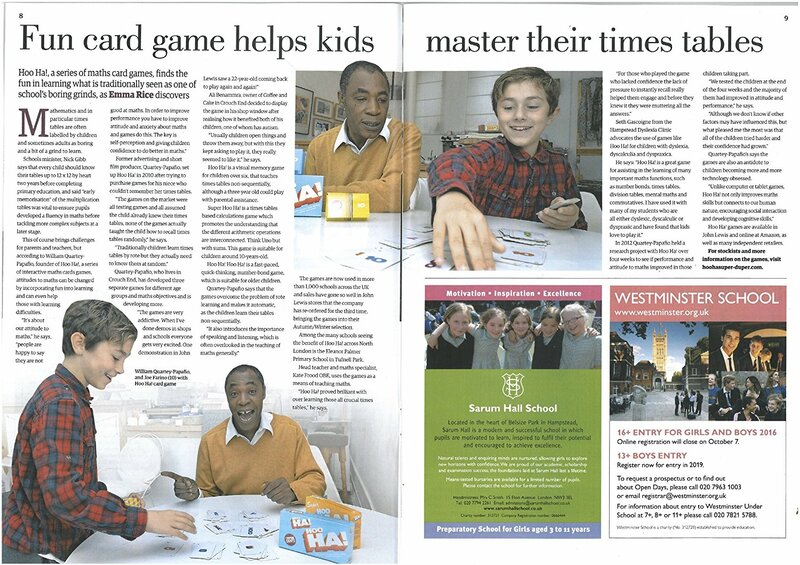 Our games are recommended by Number Partners and National Numeracy and also featured as part of the Daily Telegraph, numeracy campaign Make Britain Count. If you'd like to work with us, there's a good chance we'd really like to work with you. Please get in touch, we'd love to hear from you. 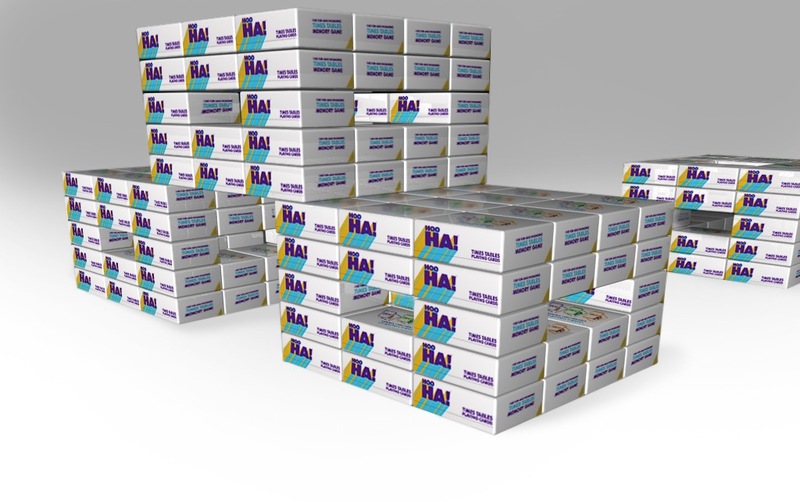 will@hoohasuper-duper.com. HOO HA! HOO HA! is the ultimate fast play, quick thinking number-bond game. 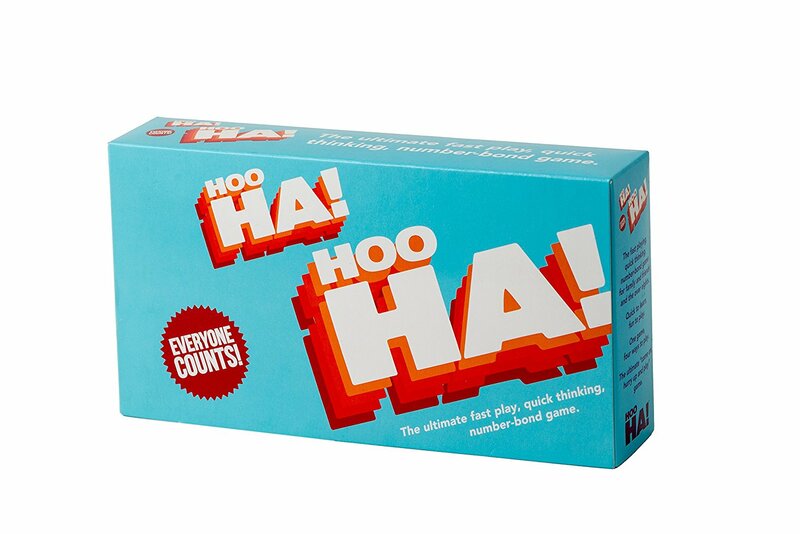 An exciting and addictive addition game, which will have you screaming hoo ha hooha! wonderful for mental agility, and hand-eye coordination. HOO HA! HOO HA! 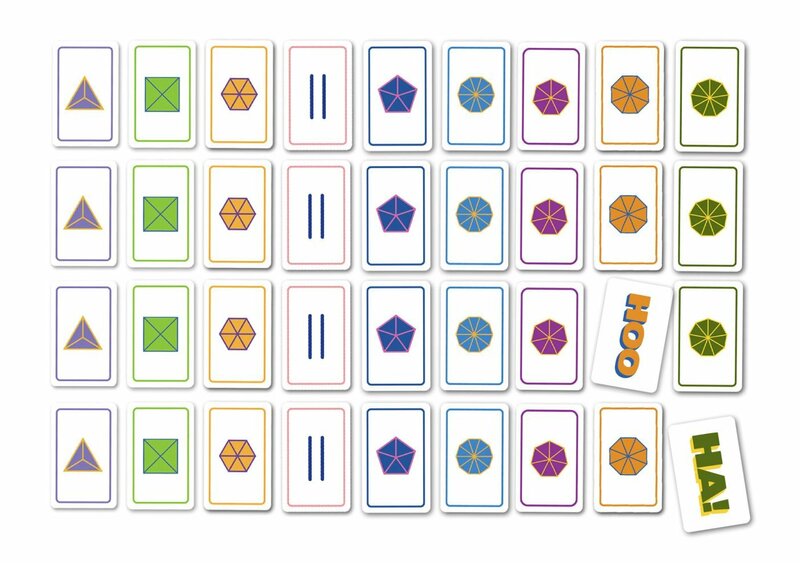 is a multi-player game with four modes of play, from one player solitaire to a fast-paced, free for all, two player, duelling game. Learning objective: Improve understanding of number bonds, and encourage number sense. 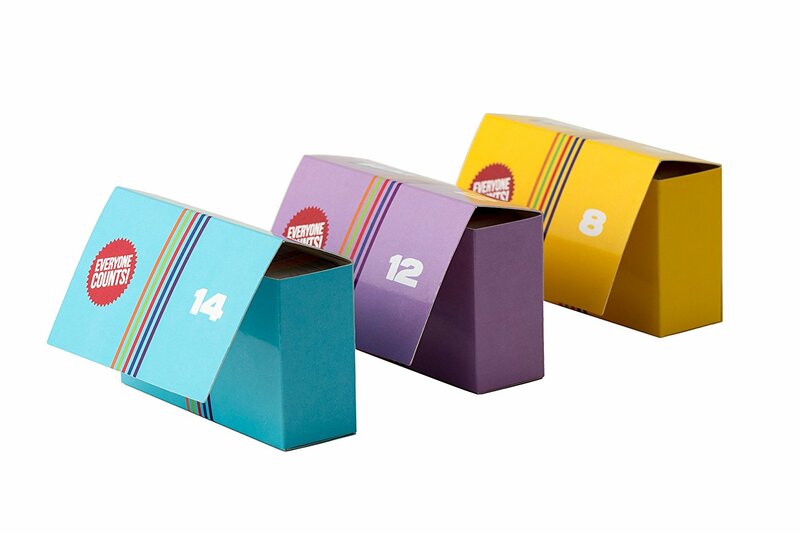 Three different sets of number bonds games in a box. Game objective; the winner is the first player to shed their cards. 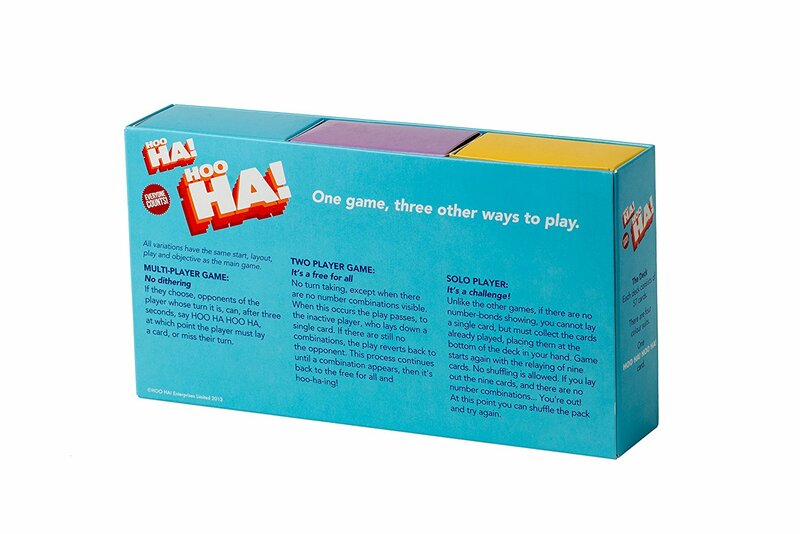 How to Play HOO HA! HOO HA! Super HOO HA! 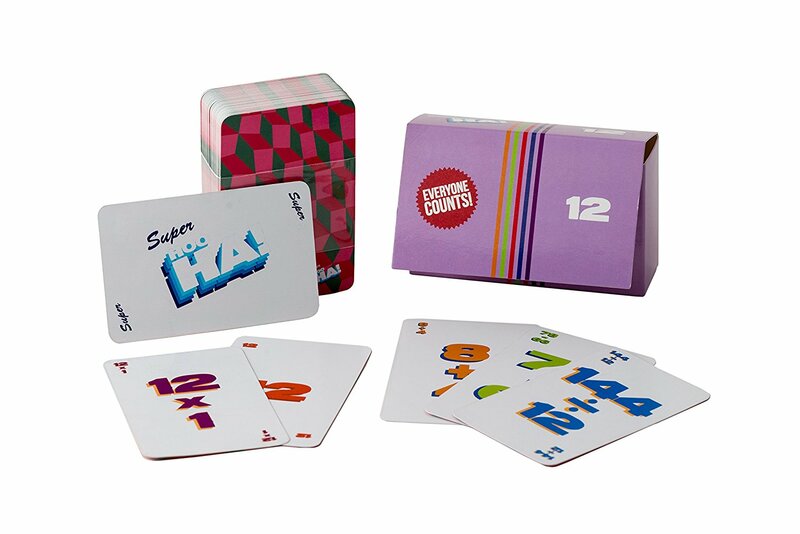 is easy to learn, fun to play, times tables based calculations card game. A multi-step strategy game that promotes number sense. The game is great for mental maths and effective practice of number factors. Learning objective; promote the understanding of the interconnections between the four arithmetic operations. Game objective: the winner is the first player to shed their cards. Three different sets of multiplication factor games in a box. HOO HA! is the times tables visual memory card game, that uses four learning styles: aural, oral, visual and kinaesthetic, to aid recall, improve concentration and develop spatial awareness. 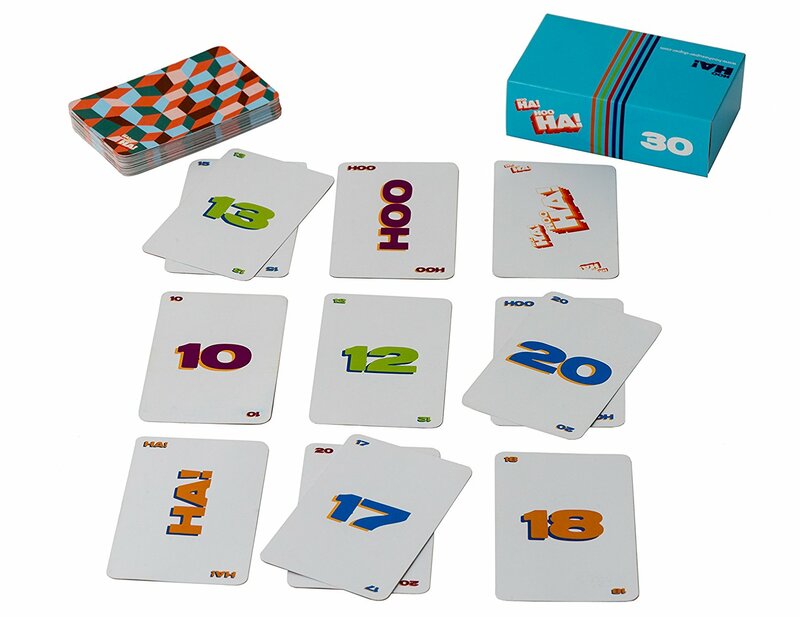 The game is easy to learn, captivating and motivating, even for those who profess not to like multiplication. Game objective; collect the most pairs of cards to win. 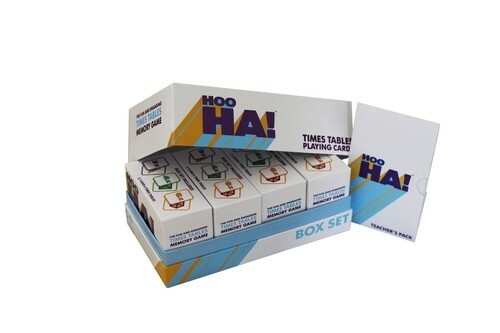 Three box sets, with three different multiplication games in each set. This policy sets out how HOO HA! Enterprises Ltd collects information about you and how that information may be used. You should make sure that you always get the consent of your parents or guardians before entering any information on our website or sending us information in any other way. Any information you may provide to us will not be passed onto any third parties without your consent. An exception to this is if we need third parties to carry out certain services for us. For example, if you win a competition we will pass your information onto a third party who will arrange delivery of your prize. We will not pass your information to third parties outside the European Economic Area without your consent. By supplying us with personal information, you agree to the terms of this policy. If our business is sold, your information will be passed on to the new owner. You have the right to request a copy of the personal information that we hold about you and to have any errors corrected. 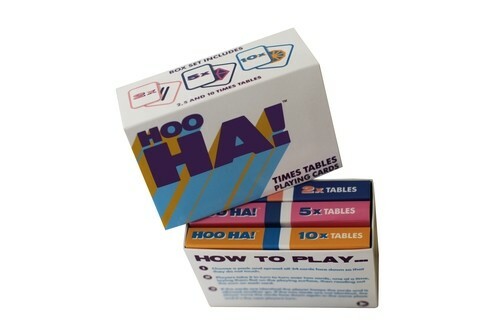 If you would like to make a request please write to HOO HA! Enterprises Ltd. 6, Rathcoole Gardens, London N8 9NB, UK. From time to time we may embed photos, video or other content from other sites. Pages with this embedded content may present cookies from these websites. HOO HA! Enterprises Ltd does not control the dissemination of these cookies from those websites, nor the information they may store. You should check the relevant third party website for more information about these.